Our annual party has transformed throughout the years - from fall Sweaters and Ciders to toddler birthdays. 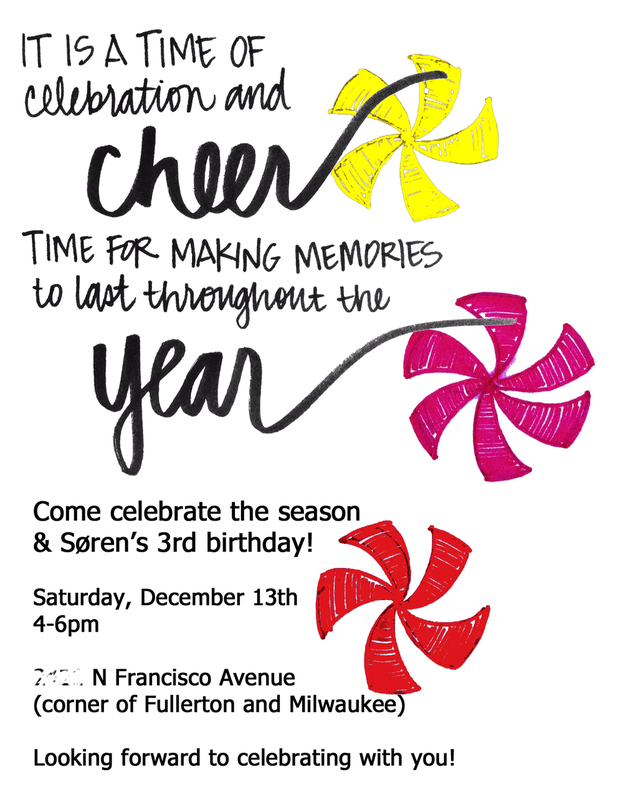 This year we are doing a combined holiday party with Soren's third birthday. Using it as a chance to be social this cold season.